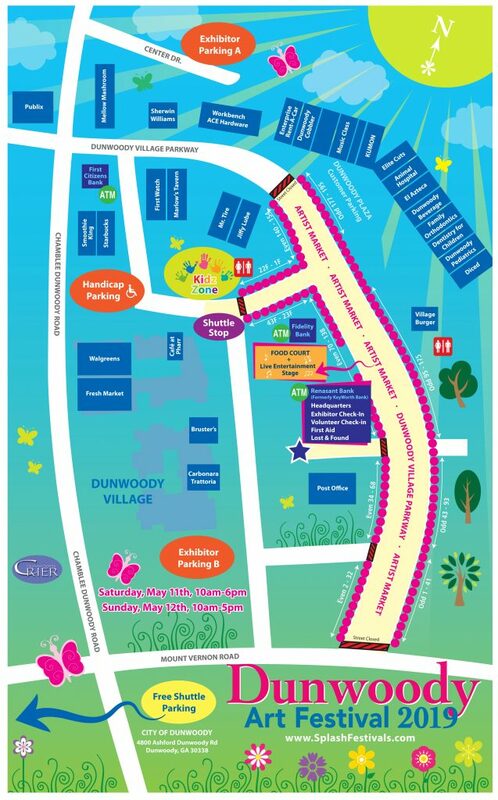 A Mother’s Day tradition in the City of Dunwoody, the crowd-pleasing Dunwoody Art Festival will celebrate its tenth dazzling show on May 11, 2019 from 10AM to 6PM and May 12 from 10AM to 5PM. It's Rain or Shine! 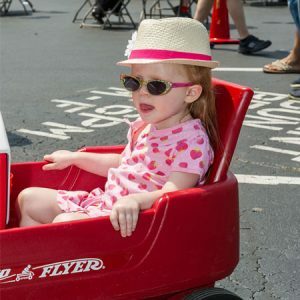 In 2018, Dunwoody Art Festival drew a remarkable crowd of more than 40,000 happy grandmothers, moms, children, and of course, lots of dads too! The Dunwoody Village area transforms into a whimsical artist market with fun for the entire family, and Dunwoody Village Parkway will become a shoppers’ paradise. Bestowed the trophy for the “Best New Event of 2010” by the Southeast Festivals and Events Association, Dunwoody Art Festival continues to attract the top artisans from across the country. Along with the partnership of the Dunwoody Crier, incredible community volunteers and the Dunwoody Rotary Club, Dunwoody Art Festival is a must-see! Take a tour of Dunwoody Art Festival 2018! A fun-filled Kidz Zone will await youngsters with great rides, sand art, imaginative crafts, and games. A relaxing stage with continuous live music will be located in the NEW Festival Food Court (right in the heart of the Event) alongside the artist market in a shade-filled lot (next to the Renasant Bank). Check back for the most updated entertainment schedule. Sit down and relax before setting out again in search for that “gotta have it” piece of art. There truly is something for everyone at Dunwoody Art Festival!